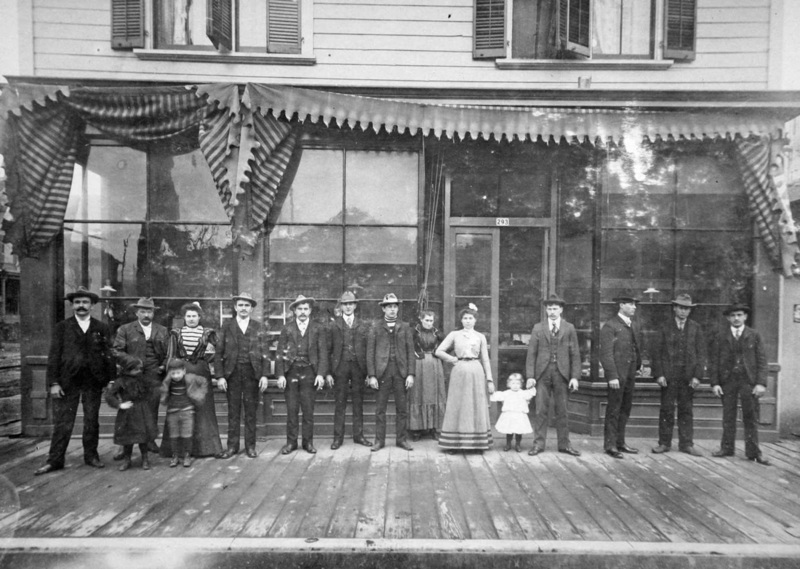 The United States Bakery was founded by Johann and Joseph Matschiner, brothers who had immigrated to the United States from Bohemia. Johann and Joseph married Helena and Sarah Schreiber, the daughters of George and Elizabeth Schreiber from Norka, Russia. The United States Bakery was initially located at 293 Burnside (approximately 5th and E. Burnside) and later relocated to E. 11th and Flanders. In 1907, The Matschiner brothers sold the business to Englebert and Joseph Franz. Franz Family Bakery continues as a subsidiary of United States Bakery to this day. 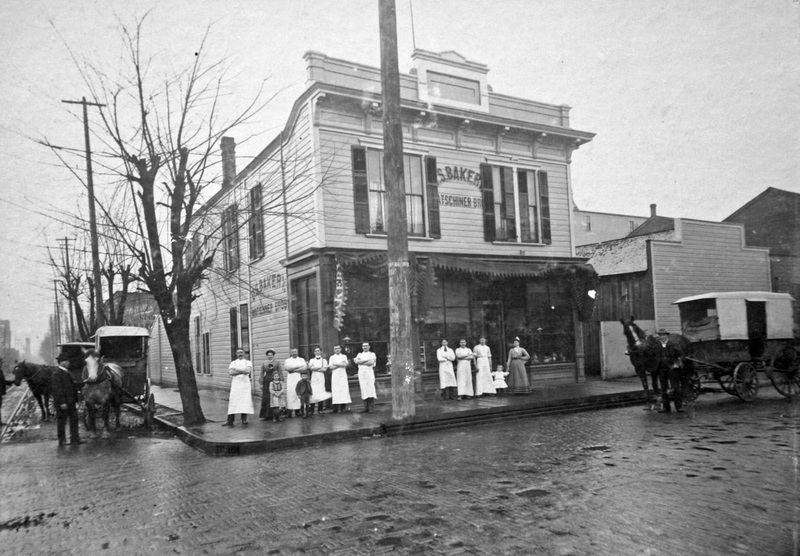 The U.S. Bakery owned by the Matschiner Brothers at 293 Burnside (approximately 5th and Burnside), Portland, Oregon, circa 1903. Source: Ancestry.com. Portland City Directories, Ship Manifest and U.S. Census Lists - Ancestry.com. Franz Bakery website. October 6, 2016. Last updated October 6, 2016.